Over the weekend Code for Philly organized a 3-day long event that included presentations/unconference sessions that led into a hacking marathon. This was the fourth hackathon we organized this year, and I would argue one of the most successful we’ve seen yet. A few reasons why: over 20 datasets released in total for this weekend, an all-female panel of experts, all 5 projects had at least one domain expert, 3 city departments were represented, and for many participants it was their first hackathon ever. 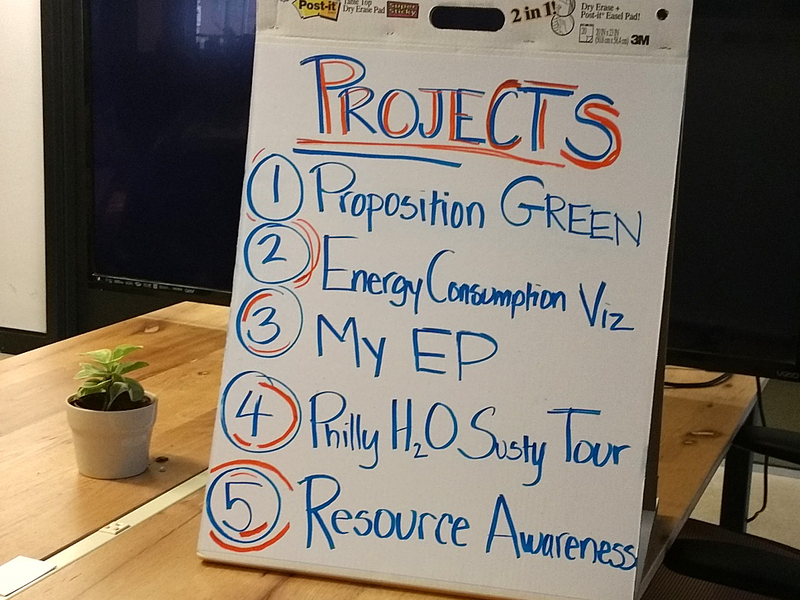 All in all, a good final signature hackathon to round out a busy year of hacking Philly civic life. The goal was to get sustainability enthusiasts in the city in the same room to share perspectives and re-think a truly complex problem. Personally I know of so many people working in the same arena and yet not sharing the knowledge and resources. Bringing everyone together brings focus and clarity that elevates the work to another level. The diversity in projects reflected the caliber of attendants–from energy consumption to homelessness resources to self-advocacy in developing education plans for those with learning disabilities, the participants rose to the challenge of tackling the many facets that characterize sustainability in their projects. 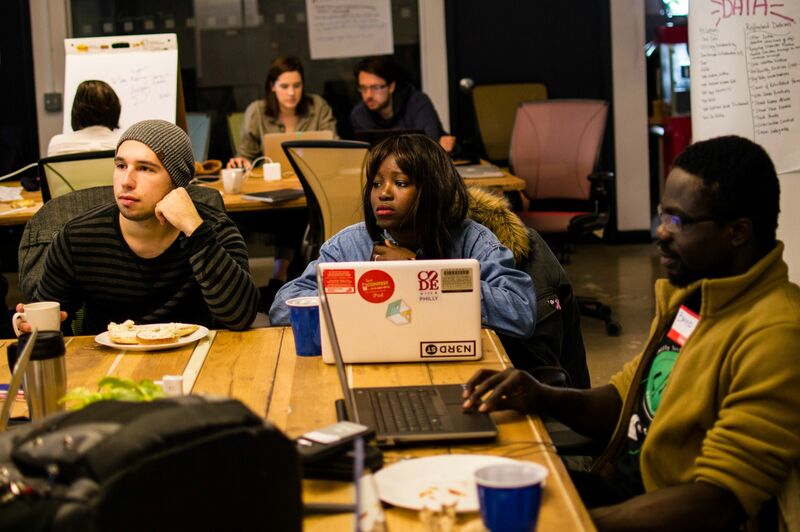 Over the last year we’ve touted the message that civic hackers are more than coders, and through carrying that message we’ve reflected on what it means exactly. The answer isn’t polished, but we have learned a lot in the last few months. Open data is important to help tell the story of a city, tech applications are important in informing the people who live there, and most importantly the collaborative process is a powerful bridge between data owners and the community on the ground. Defining civic tech and its role is ongoing, but this weekend was a great demonstration of what’s possible when domain experts, local government, and technologists combine forces to address an issue. Great work and congratulations to all our susty civic hackers on a job very well done.